No matter what your target is (in the world of hunting, of course), a collective nightmare is a scope issue. When there is a problem with the principal instrument in capturing the game, you may not even get the chance to catch. A common problem that hunters often see with their scope is the dreadful scope shift. One of the most common problems that hunters face, it’s also known as the point-of-impact. Often seen as the acronym POI, it’s the point where the shooter is aiming and where the bullet actually lands. Even the most minor discrepancy can be the difference between scaring off your hunt and having dinner tonight. Did you know that this is mainly a user problem and not a scope problem? Most of the time, anyway. Most new scope owners have this issue and don’t understand how to calibrate correctly or their scope is broken. Fear not, overwhelmed rookie, as we have all of the information you need to successful purchase the perfect riflescope. Before we jump into the four types of riflescopes, let’s talk about ways to increase the transmission of light in your scope, making the shot that much easier. A primary way that light transmission is increased is through a quality lens coating. A lens coating on a hunting scope is a synthetic finish that eliminates as much light reflection as possible, allowing more to go down into the funnel of your scope. In knowing this information about a hunting scope, you’ll be able to look out for these features. Continue reading for in-depth information about the range and style of scope. 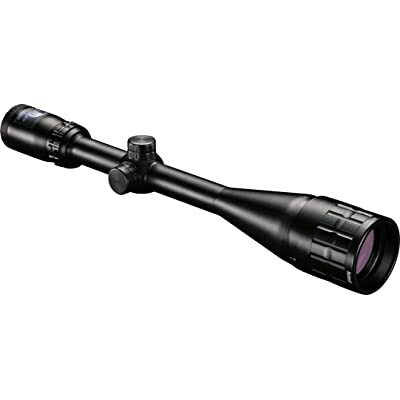 A short/close range riflescope is ideal for hunters who have targets that are typically less than 100 yards away. A short range riflescope with a 2x to the 2.5x range is perfect in these cases. We recommend a scope that is a fixed power scope, but if not, we recommend no higher than 2.5x range. While mostly for short range hunting, this style of scope can also work for medium ranges on the lower end. If you partake in games that are quite dangerous, the short range riflescope is critical to your success. Because the targets are larger, they are never more than 150 yards away, disabling you from needing a higher magnification during your hunt. The reason for this is because when you have a high magnification and an extremely limited view, you’ll either be extremely slow on getting the catch or you won’t be getting it at all. A medium/mid range and general purpose Riflescope is perfect for those that generally hunt from 100-200 yards away from their prey. The ideal magnification for this distance range is around 4x and fixed, although it isn’t the only choice, as hunters choose 2-7x and 3-9x often. It’s important to remember as you get into the higher range of scopes (anything above short range), the heavier it is, the more it will degrade the quality of your shot. Unless you can maintain the recoil and the weight, you should really look for something that’s more lightweight. 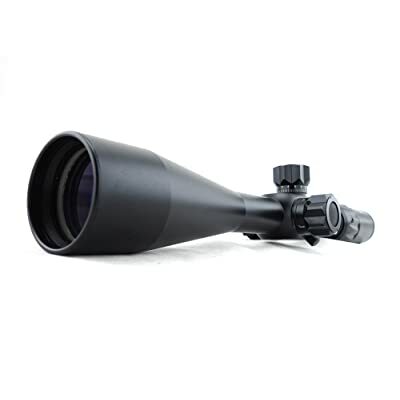 A long range riflescope has a range of 300-350 yards with a popular magnification variable of 2.5-8x and 3-10x. In this category, you may find heavier models, as it must compensation for the length. Chances are, if you’re shooting at this far of range, you’re either a veteran and know what you’re doing, or you’re super new and have no idea what to look for. Make sure to think of the area in which you’ll be hunting a lot. Are you up close and personal? If so, a long range riflescope is not for you. Are you far away and hidden amongst the foliage? Then a long range riflescope may be for you. In case you’re still clueless, a long range riflescope is ideal for shooting smaller targets that you don’t want to scare away or medium targets that are somewhat dangerous. Finally, a scout scope is a specialized scope that is made to be mounted. In its history, it was created to be mounted on top of a sight on one of the Winchester lever action rifles, but have adapted to modern guns. In using this type of scope, you have a reduced view field, which ultimately slows down your acquisition. However, this isn’t the case for all shooters, but most rookies and even some seasoned shooters. You may be thinking that these scopes generally have a higher magnification, and it’s actually the opposite. The average magnification for a scout scope is 2x, combined with the small field of view. Unless you absolutely HAVE to use a scout scope, you shouldn’t do as it not only messes with the function of your brain during shooting, but it’s not ideal for acquisition. Let’s talk about the first and last features of the Xwin Tactical. For starters, we talked about scope shifting and how it’s an extremely common problem with hunting scopes. With an elevation dial and the elimination of the possibility of parallax, you won’t have to worry about scope shifting, even if you’re a newbie. An updated focusing system means worry no more. 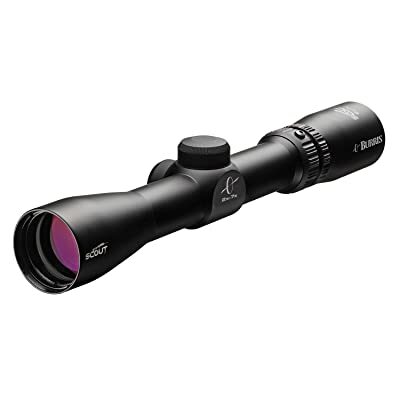 As for the diversity in the ranges this scope offers, it’s not only suitable for short range but long ranges, too. A versatile option as such allows the user to test the waters when they aren’t in their usual hunting area at an optimal short range. Perfect for those who vacation and hunt on vacation, the Xwin Tactical is appropriate for many environments. The durable and alloy exterior is not only great for all types of weather, but the scope is also fog proof, waterproof, and shockproof so that you can hunt in any situation and not worry about the weather. The only things you need to worry about are your surroundings and your potential acquisition. Let’s talk about specifics: if your eyesight is diminishing, the Xwin tactical caters to you with their specialized red and green illuminating optics to make your acquisition much easier, however, there may be a bit of wasted light as talked about. 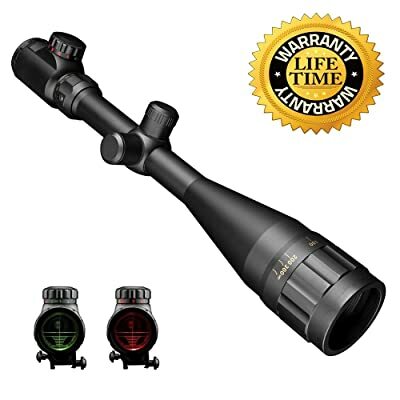 As for the general range, this fits the short range side of scopes (up to 100 yards) as well as the long range end of the hunting scope variety (300-350 yards). Since it does allow you to hunt short and long range, you can use this scope for small and large game alike. Let us preface this by stating that aging eyes will have a great time using this, as the illumination methods provide eye-relief. You won’t have to sell or toss this one away when you feel your eyes are no longer a good fit, as you don’t have to worry about that happening! The red/green illumination is also fantastic for getting a better grasp on a larger field of view. As we mentioned, a good coating in the tube allows the light to channel down into your eye rather than reflecting back up. With the BugBuster scope, you don’t have to worry about wasted light, which means that older eyes won’t be missing out. The emerald coating allows for the maximum transmission of light to get down to your eye. The range estimation reticle allows you to see as close as 3 yards to infinity, as mentioned, but what we love is the safety of this hunting scope, being shockproof, fog proof, and rain proof – durability for all weather and climates. Based off of the versatility for ages and ranges, I highly recommend this piece. Some believe that hunting scopes with a set maximum estimation range work better, and they may not like this one, but we actually think the infinity option works great on this hunting scope. The range for magnification allows a bit of range itself, being between 1-4x, allowing you versatility in your range options. As we discussed, you’ll receive more light into your scope when there is a quality coating over the lens. In having this quality coating over the lens, you eliminate light from reflecting away and allow the light to channel through the scope tunnel and into your eyesight. 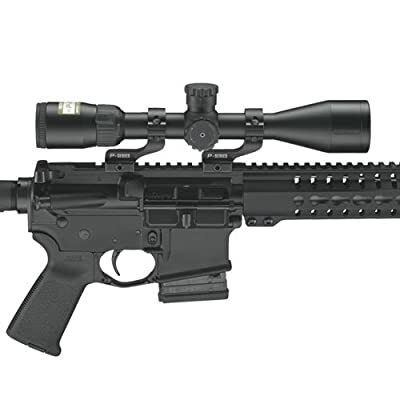 A tactical styled riflescope with great features, you can have pinpoint accuracy with a ton of eye relief. Indoor, ambient light conditions are unfortunately a downfall for this product, but for the thousands of people hunting outdoors, this isn’t a problem. If you’re practicing inside, you may see a bit of blur, but we hope you aren’t shooting real game inside! As for the parallax, who doesn’t love the option of having secured accuracy? Scope shifting is a huge problem and purchasing a riflescope as such gives you the immediate relief that it won’t happen to you! With these benefits and the “con” not really being a con, we highly recommend the Nikon P-223 in your hunting lifestyle. These two features are pivotal in the function of a well-done hunting scope. The first focal plane rangefinder reticle is high-performance and allows for a faster estimation of range, which means your shot will be much more accurate than those without this feature. As for the adjustable objective lens, this not only eliminates the possibility of parallax but also provides a sharper focus. The combination of a focal plane rangefinder for faster estimation and the adjustable objective lens for sharpness, hunting with the perfect long range riflescope has never been easier. Since it is long range and has these features, you may be wondering what the weight is. Surprisingly, this long range hunting scope is only 1 pound, 14 ounces, although for some it makes a world of difference. Being close to two pounds means there’s a significant change in the way the gun will shoot, and being prepared and ready for this means that you’ll be hunting safely. The illumination of the reticle is provided by the CR2032 3V battery that comes with the hunting scope. As mentioned, this hunting scope may not be the best for aging eyes, but it has features that can make up for the wasted light. If your eyes are still okay, but they are aging, this might be decent hunting scope for the time being. Optimal for all walks of the game, from small to large, the added features and range of this scope make it easy for you to adjust to any type of game you’re hunting. 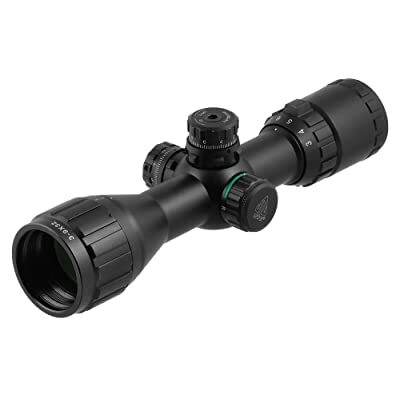 Deer, elk, pronghorn, and even bigger and dangerous game can be caught with this hunting scope. There are so many features that we couldn’t choose just a few to talk about. With low-light capabilities and dusk and dawn brightness, you can hunt at any time, allowing you catch almost any type of game that you wish. All you need is the sharp reaction time, and you’re set! With a 4-12x magnification and 40mm objective lens, this riflescope is great for long range capabilities without slowing your acquisition down. As for waterproof and fog proof, this comes in handy during dewy mornings where you’re taking advantage of the dawn light levels. Those who like long range riflescopes may not like a magnification as high, but that’s purely preference and something you don’t need to use. Based on the lighting options alone, I highly recommend this for all ages – especially with aging eyes, as 3 inches of eye relief is incorporated in this model. The multi-coated lenses have proven great for low light situations as it allows all of the light possible to be channeled through the tunnel of the scope rather than be reflected. 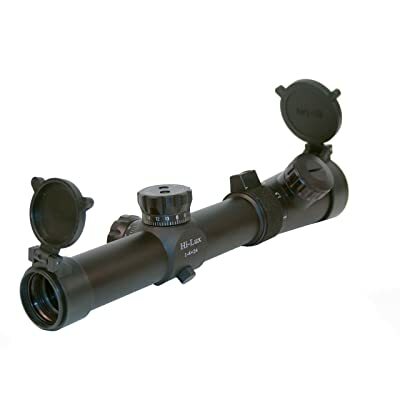 Scopes that are of poor quality reflect more light outwards instead of into the tube, whereas the Burris Scout allows as much light as possible. Also great for aging eyes, the ultra-fast target feature allows the shooter have both eyes open for better and quicker acquisition. The ultra-fast acquisition feature also provides a higher amount of safety to be aware of your surroundings in a peripheral sense. One of the most popular options in the world of scout scopes, it’s not necessary for everyone as mentioned in our “what to know” section, but for those who must, this is a great option as it’s lightweight and provides an abundance of light to your eyes with the fast acquisition. There are a few key points you need to know before going on your search for the perfect hunting scope. One of the things to know is the extended zoom range. It’s important to know that an extended zoom range isn’t always practical and should be taken into consideration before hitting the purchase button. The extended zoom range not only takes more money out of your pocket than necessary, but it also adds more weight to your gun, slowing you down from getting the shot. The wider range also means that you’re compromising more of your view, making an even more gradual acquisition than previously thought. Another key matter to know is the objective lens diameter, which works hand in hand with your eyes. For those who are middle aged, you’re typically limited to around a 5mm diameter for dilation of your pupils, making any more than 5mm of incoming light, wasted. If you already have a good hunting scope, you may be wondering what the amount of incoming light is for your eyes. The exit light uses calculations by dividing the lens diameter to the magnification. In this instance, a scope that is 5mmx35mm has a 7mm exit, causing 2mm of light to be wasted for the typical middle-aged eyes. Younger, healthy eyes have a 7mm diameter, meaning that no light is wasted with a scope of 5mmx35mm. Continue reading to find the optimal range for specific fixed variables. While we can’t make a pinpointed recommendation, as each type of scope depends entirely on the range in which you shoot, your gun, and your eyesight, we can say with confidence that these are the top choices for you in each range. As with any type of gun practice, you should always learn the ins and outs of your hunting scope for a safer experience. This is very comprehensive & informative review about rifle scope. You have share top class rifle scope. Thanks for sharing.